José Alfredo Blakeley, Partner Architect at Microsoft, passed away on January 7th, 2018. With this “tribute”, we would like to honor his many contributions to data management. José will be sorely missed as a great scientist, mentor, colleague, and friend. 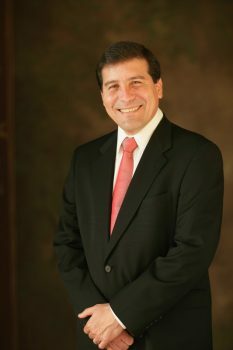 José completed his undergraduate studies at Tecnológico de Monterrey, Mexico in 1978. He continued his studies in Computer Science at University of Waterloo, Canada, receiving an MMath degree in 1983 and PhD in 1987. After graduation he joined Indiana University, Bloomington, as a faculty member. He moved to Texas Instruments in 1989 where he worked on the development of an OODB. José joined Microsoft in 1994 and spent the remainder of his career in Redmond. His first project was OLE DB (a database access interface). He led the integration of the .NET Common Language Runtime (CLR) into SQL Server during 2003-2005 and was the lead architect of the Data Programmability Group during 2005-2007. His main focus over the last 10 years was building and shipping the SQL Server Parallel Data Warehouse (PDW) appliance (2007-2013) and the Azure Data Lake Analytics cloud service (starting in 2013). José has 19 granted patents. Over the years, he has served on many database research program committees, including as VLDB 2004 Industry PC Chair, ICDE 2008 PC Chair and VLDB 2011 General PC Co-Chair. He became an ACM Fellow in 2009. Read more at the SIGMOD Blog.